Lorne Lofsky is a cool-toned guitarist in the tradition of Jimmy Raney and fellow Canadian Ed Bickert. Since Lofsky’s sound is not all that exciting, it is fortunate that he is not only an expert bop-based improviser but very good at picking out a repertoire that fits his style. For his trio set with bassist Mike Downes and drummer Jerry Fuller, Lofsky performs four songs by Bill Evans plus numbers by Wayne Shorter, John Lewis, Lennie Tristano (“317 East 32nd”), and Ravel, along with a few standards. To give variety to the date, four pieces are taken totally by Lofsky, who overdubs a second (and sometimes third) guitar with taste. “Subtle creativity” is a phrase that sums up this session as a whole, for it takes several playings to fully appreciate the tight musical communication between the trio members along with Lofsky’s inventive ideas. 1994 Lorne Lofsky plays clean electric toned guitar bebop. He is highly adept technically and paints clear and speedy jazz pastorals. This is a very enjoyable record that features bassist Mike Downes and drummer Jerry Fuller. Also featured are four Lofsky solo pieces. The production is crystal clear and its quite wonderful to hear this type of guitar playing done without the treble rolled down to zero. The drums sound particularly fine. The materials consists mostly of standards and covers. It would be great to see more output from this artist. It was around 1981/82 that I first became aware of Canadian Guitarist Lorne Lofsky. A trio album released on the legendary “Pablo Today” record label called “It could Happen To You” featured the work of this remarkable new face on the world jazz scene. The album came about as a result of the intervention of Oscar Peterson who saw Lorne play at Toronto’s “George’s Spaghetti House”. Oscar also produced the record. For my money, this album remains one of the finest guitar trio albums ever. Why? Now there’s a question. What makes a great jazz recording or soloist? I can only speak for myself on that score. Why does this particular album ring all the right bells for me? Well, a combination of elements, dexterity, sound, but number one is phrasing. To my mind, phrasing is damn near everything. It’s the manipulation of time and melody, the centrepiece of the improviser’s continuum. Getting the phrasing right is to my mind by far the hardest thing. It is the thing that defines us as players. If you want an object lesson in as close to perfect phrasing as it is possible to find, then listen to “It could Happen To You”. It is truly awesome. Sadly, the album is no longer available but I have seen copies come up on eBay. If you see a copy come up on eBay, buy it! . After the release of the record, Lorne recorded and toured extensively with Oscar Peterson. Today Lorne is playing with a Trio called “Inside out” which includes Kieran Overs on bass and Barry Romberg on drums. In 2004 they released an album called “What is this thing”, stylistically very different from previous recordings, the band stretch out on standards pushing rhythm and harmony to their collective limits. Lorne can be seen playing at major jazz festivals in Canada and the US and frequently around his hometown of Toronto. He also has an extensive teaching practice having previously taught at the University of Toronto. 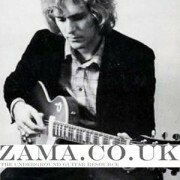 Lorne has a website with video and audio clips as well as a full biography and some guitar lessons. You can also get hold of his teaching videos and latest recordings. Lorne very kindly agreed to an interview. As a rhythm guitar player, how did you approach comping with piano in Oscar’s line-up. Often without fixed arrangements guitar and piano groups can sound like a dogs dinner? LL: It’s important to stay out of the way. On medium and up tempo tunes, some of the comping consisted of short rhythmic phrases and simple harmonized background melodies, riffs. Ballads were more challenging. I had to keep the radar on and listen for the spaces. Listening and reacting accordingly was the most important thing. What I enjoy about your “Inside Out” album is how you explore the extremes of harmony with some pretty standard standards. “All the things you are” is great fun (if I may make so bold!). For me, I sometimes get it, I sometimes don’t. There is obviously a master at work here. What’s your thinking on exactly how far you can take things beyond the original changes? At what point would Lorne Lofsky believe that the plot has been lost? LL: Well, I don’t know about the “master” part. I’m trying to push the envelope with like minded people. A lot of these tunes have been played thousands of time. The challenge is to not fall into the “in the tradition” trap where things sound so derivative that they almost become “classical” in terms of style and content. I like to take chances when I play. Things don’t always work out but that’s ok. I don’t think in terms of how far things should go. When improvising I try to keep an open mind and “go along for the ride”. “It Could Happen To You” is an awesome album! It is however unavailable. Is there any chance of a re-release? LL: I don’t think it’s going to be re-released.. The album is much more “verbose” (more notes!) than “It Could Happen”. With over twenty years between the albums, is that a technique thing (can you play better) or an ear thing (can you hear better)? Do you listen to that album now and wish you could change things or are you happy to let it be? LL: Re:”It Could Happen To You”, That was then, this is now. Hopefully, after more than twenty years, all aspects of my playing have progressed. That seems to be the case. On your “Bill Please” album you have a track called “Django”. Did you ever get into the “Django” hot club thing? LL: “Django” was written by John Lewis of the MJQ. I’ve never really gotten into the “hot club” thing. Are you still as excited about jazz guitar as ever? Do you feel that there are avenues that still need exploring? LL: I’m more into the guitar than ever. In terms of exploring, the sky’s the limit. Being a jazz musician is concerned not only with the musical adventure but also in the real world, paying your taxes and bills. As a survivor, would you say that things are getting better or worse for the working jazz musician. LL: Most players, myself included, teach a lot. I find it quite rewarding for the most part. I think things could certainly be better in terms of employment opportunities. I would suggest that playing ballads is a tricky thing in jazz, particularly for guitarists. Guitarists want to fly about the place as fast as they can and impress the neighbours. Ballads can sort the men from the boys. With the track “One for Ed ” in mind, how would you advise a student to approach the task? LL: Don’t play like you’re getting paid by the note. I think it’s good to play rather sparingly, with a strong melodic sense. Also, it’s very important to me to create dynamic contrast between the melodic line and comping. [make the comping quieter than the solo line] This creates the impression that someone else is playing the accompaniment. It’s challenging, but well worth the effort. Do you have a regular trio gig? LL: I have occasional trio gigs. Does Toronto have a vibrant jazz scene? LL: It could be better.There are lots of great players and only a few places to play. The concept of “supply and demand” certainly holds true in the jazz business. People like Zawinul, Metheny and even as of late Mike Stern have controversially pushed the boundaries of the genre. Metheny would write a song with a hat stand if he thought he could get away with it. Do you consider what those guys are doing to be jazz? LL: You know, it seems to me that “jazz” is a term whose definition is constantly changing. Everybody has a different idea of what jazz is, largely based on their musical biases. I think the term ‘improvised music’ might be more suitable. At this point , to me anyway, it’s one big blur. You have said that in the past you came from a rock and roll background. Do you ever indulge that side of your persona? Are there any side acts we should know about? LL: I don’t really get into the rock thing that much anymore. Once in a while I’ll listen to some early Zeppelin,or Hendrix/Clapton. It’s really a nostalgia trip for me. My 10 year old son listens to some of this stuff. I think it’s a good alternative to [C]rap. At least people are playing instruments and they’re not talking about selling crack and shooting cops. Have you ever played in the UK? LL: I played Barbican Hall in London with Oscar Peterson in the mid-90’s. Where does Lorne Lofsky go from here? LL: I’m constantly practicing, refining my musical skills and trying to deepen my understanding of music. Which sports do you follow and why? LL: I don’t follow sports regularly. I watch an occasional game of baseball, hockey, etc. 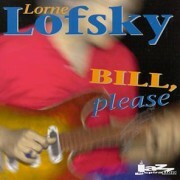 Lorne Lofsky is without doubt one of the finest exponents on the art of Jazz Guitar. I would recommend you check out Lornes most recent offerings with his group “Inside Out” or various solo albums and instructional videos. All are available from the Lorne Lofsky website.